Cedarwood has a warm, soft, woody aroma. With its sedative properties, it is calming and may help with nervous tension, anger, anxiety and cellulite. Lavender has a floral, sweet herbaceous scent with woody undertones. It is known as "The Swiss Army Knife" of oils because of it versatility. It has analgesic, antidepressant, anti-inflammatory and sedative properties. It balances the body and emotions. It may help with anxiety, bronchitis, depression, arthritis, mental clarity, and insomnia to name a few. It promotes consciousness, health, love, peace and a general sense of well-being. Frankincense has a rich, deep, warm scent. In some cultures it is a holy oil and scent. Some of its properties may include antidepressant, anti-inflammatory, sedative and immune stimulant. May help with mental fatigue, confusion, coughs, colds, headaches, wrinkles and spiritual awareness. Featuring Orange, Cinnamon Bark and Spruce, this warm, comforting aroma taps into the spirit of Christmas. 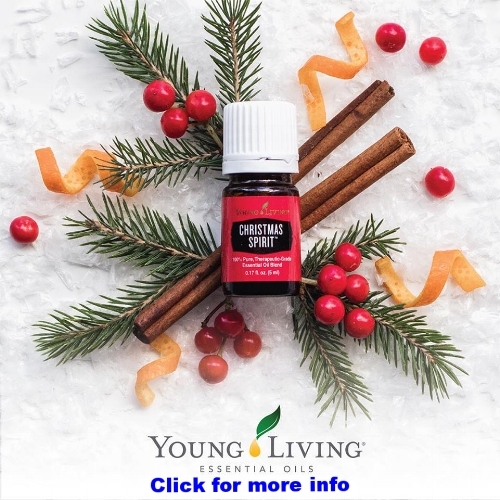 Perfect to diffuse this holiday season!